EPW009828 ENGLAND (1924). 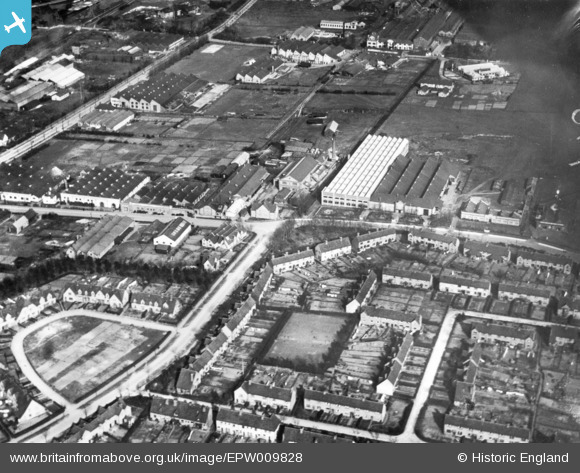 Ridge Road and environs, Letchworth Garden City, 1924. This image has been produced from a print. Title [EPW009828] Ridge Road and environs, Letchworth Garden City, 1924. This image has been produced from a print. J. M. Dent (Printers) Ltd. The Aldine Press. The Garden City Press bindery and paper store. The main office, machine room and composing room were in the adjacent building to the east. The Garden City Press, Pixmore Avenue.